Today I’m talking with Cameron Macintosh, author of the recently-released Max Booth Future Sleuth series. Let’s start with the most obvious question – what’s your new series about? 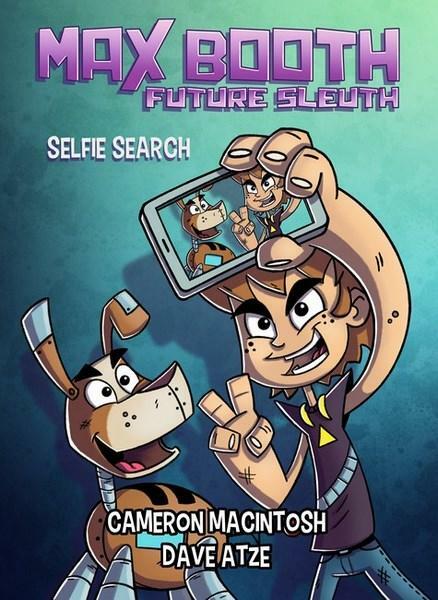 So far we’ve got two books out in the series: Tape Escape and Selfie Search. They’re both set in the year 2424, and are about a street kid, Max, and his hazardous missions to identify artifacts from the distant past – which just happens to be our present day, or hereabouts. Max makes a very humble living from identifying these objects, but there’s always a greedy adult or two wanting to take advantage of his hard work. Is there a particular reason you tend to gravitate towards science fiction when you write for children? Sci-fi isn’t the first genre I lean towards as a reader, but I find speculation about the future to be a really useful inspiration for fun story ideas. It also offers the chance for all kinds of meaningful discussions between kids and parents or teachers – whether it’s about ways technology will evolve, or about how our present-day lifestyles are impacting on the planet’s future. The Max Booth books are your first leap from educational writing into the world of mainstream trade fiction. How has the experience varied for you? In terms of writing, there’s a lot more freedom. Educational writing usually involves quite a strict brief, but that’s not necessarily a problem – those parameters are very helpful in guiding a manuscript towards completion. When it’s you who’s setting the parameters, the process can be a lot slower! The other main difference is at the promotional end of the process. With my educational books, I don’t think I’ve ever been asked to be part of the promotion. If they’re part of a successful series or reading program, it’s generally the reputation of the series that sells them, as much as I’d like to take all the credit! Now, with Max, I’m doing interviews, interacting with blogs and doing a bit of hustle to support the sales. It’s a new world to me, but I’m really enjoying the ride. What do you think is the biggest trap that people should beware of when writing for children? Relying too much on inspiration from books you read as a child can be a problem. I constantly have to mentally detach myself from certain key books. It’s really important to keep up with what’s being published and what’s being enjoyed out there in 2017. For me, though, the big one is to avoid writing down to anyone. Kids are incredibly savvy and they know when they’re being patronised. How do you avoid that? On a first draft of anything, I just imagine myself in the main character’s place and try to experience his or her main emotions in that situation as honestly as possible. Hopefully by the end of the first draft, the text has an emotional and conceptual integrity that will survive the redrafting process. On the second and third drafts I think more consciously about the age of the reader, and how they’ll interact with the words. It’s then that I make any changes to sentence construction or concepts to bring the text into line. So how does that work when you write the Max Booth stories? Fortunately, I find it gets easier the older the central character happens to be. Max is 11, an age I have very vivid memories of being – it’s the cusp of great change and the dawning of a lot more world-awareness, so it doesn’t tend to take too much conscious effort. 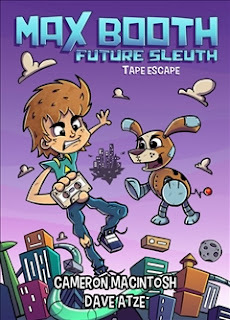 What are some of your favourite kids’ books on the market at the moment? I really love the Tom Gates books by Liz Pichon, and anything by Shaun Tan. Another favourite at the moment is Ickypedia by the Listies (Matt Kelly and Richard Higgins) – a dictionary of disgusting new words. It really is laugh-out-loud funny. Are they similar to the kinds of books you enjoyed as a child? There are definitely some parallels in terms of their off-centre humour and slightly odd settings, but I tended to gravitate towards longer books by authors like Roald Dahl, Judy Blume and Paul Jennings. 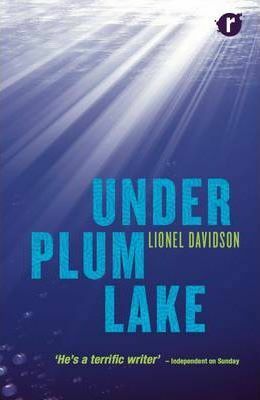 My most beloved book for years was Under Plum Lake by Lionel Davidson, about a child who visits a wondrous civilisation beneath the bottom of the sea. I know a lot of people find it too dark, but I still reread it every few years to try to relive the magic of it. Is humour important in your own writing? I always try to get some humour in, especially when dealing with more serious subject matter. Humour is a great door-opener for exploring darker topics – in the case of Max Booth, I tend to use it when Max is dealing with the extreme class snobbery in his future world. I also think that when you’re trying to excite reluctant readers, action is important, but giggles will do even more to keep the pages turning. Is it hard to judge what a child reader will find funny? I’m blessed with a very childish sense of humour, which definitely helps! It’s always slightly dangerous trying to judge what anyone else – of any age – will find funny, but as long as I’m getting a giggle from a line or a situation, I’m fairly confident that most of the readers will enjoy it too. 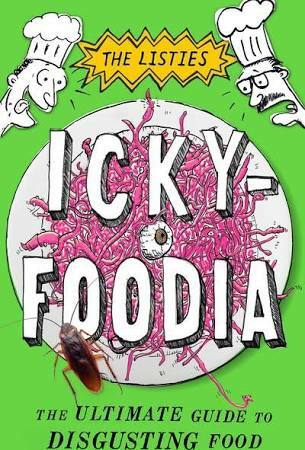 It’s really important to keep up with the kinds of humorous books today’s kids are reading, and to seek feedback from the kids in your own family or social circle. Writing can be a precarious way to make a living: what keeps you going? It comes down to a very strong belief in the power of stories – the ability of this craft to remind people how intertwined, and how similar, we all really are. Stories have the unique ability to remind us of this without specifically reminding us of it – and to let us walk in other people’s shoes temporarily too. It’s a real privilege to be part of an industry that values these possibilities. On that note, thanks for the chat, and all the best for the next Max Booth adventure. Thanks very much. Book 3 is roaring into shape as we speak – only slowed down by overly frequent coffee breaks! The Max Booth stories are available at bigskypublishing.com.au or through your local bookshop. Cameron can be found online at www.cameronemacintosh.com.au, on Facebook as ‘Cameron Macintosh, author’, and on Twitter @CamMaci99.